Dortmund - When pulled a Spiderman mask from his sock to celebrate his goal in Borussia Dortmund's over FC Bayern München, he set something of a precedent for the ensuing campaign. With 11 goals and seven assists in all competitions, the Gabon international has been the one constant throughout an otherwise forgettable first half of the season for second-bottom BVB, whose fans have had precious little to cheer domestically since besting their fabled Bavarian foes on 13 August 2014. Be it on the right-hand side of midfield or as the lone striker, Aubameyang has been the model of consistency, starting 15 of die Schwarz-Gelben's 17 league outings so far this term, as well as five of their six UEFA Champions League group games. The former AC Milan youth player has scored as many Bundesliga goals (five) in 2014/15 as Marco Reus and former Hertha Berlin striker Adrian Ramos combined, as well as two more than summer signing Ciro Immobile, who joined Dortmund having netted 18 goals in the foregoing Serie A campaign. 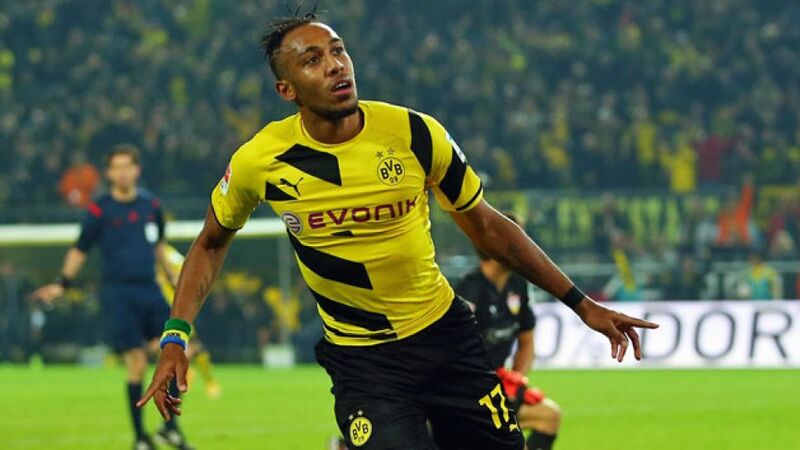 Aubameyang is also top of the five-time champions' pile when it comes to assists (three). All in all, it's been an unexpected rise to prominence for a player who started just 21 Bundesliga games in his debut season in the Bundesliga. Immobile and Ramos were supposed to share the goal-scoring burden following Robert Lewandowski's eventual move to Bayern last July, but it's Aubameyang who's stepped up to fill the void. "He can shield the ball, he's pretty good in the air, he's always in top shape and he can also play with his back to goal," said Dortmund head coach Jürgen Klopp of his all-round attacking ace. For 'Auba' himself, though - a player who admits to being "most comfortable when leading the line" - it's his defensive game that has "really come on" since joining the Borussia from AS Saint-Etienne in the summer of 2013. Indeed, it's those personal strides that could see Aubameyang claim the 2014 CAF African Player of the Year award, which will be announced on 8 January. The Gabonese flier faces stiff competition from Manchester City FC midfielder Yaya Toure and OSC Lille goalkeeper Vincent Enyeama, but he is no less deserving of the crown. Regardless of the outcome, one thing is certain: If Dortmund are to get themselves out of domestic trouble in 2015, the Bundesliga's fastest man is guaranteed to be at the forefront of their efforts. He is in the form of his life, after all.